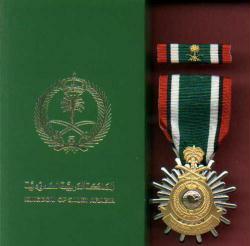 Saudi Arabia version of the Liberation of Kuwait medal. Awarded to US troops. Comes in green case with medal and ribbon bar. Very hard to find. Profile of Kuwait is in gold.